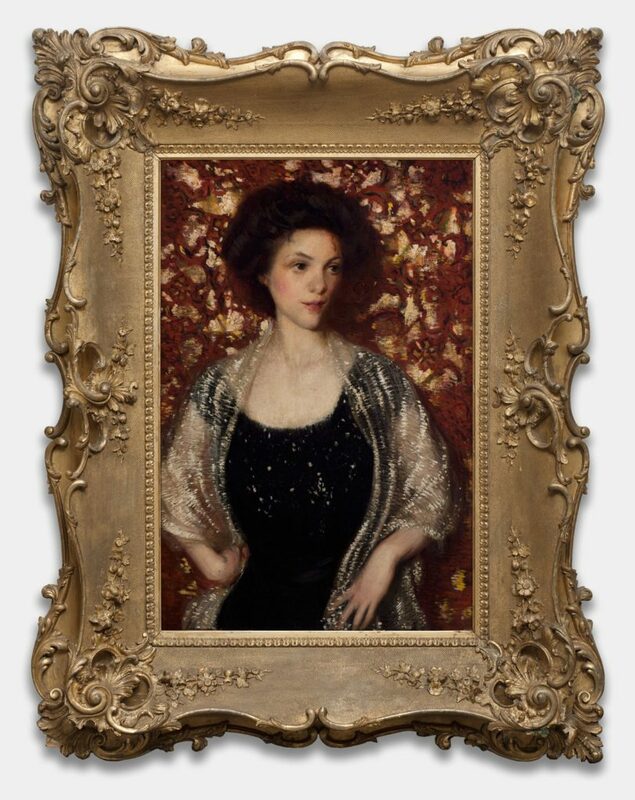 Philip Leslie Hale was born into an intellectual and artistic family in Boston in 1865. Hale studied at the Museum School, at the New York Art Students’ League with Julien Alden Weir, and in Paris at the Académie Julian and the Ecole des Beaux Arts. In 1893 he began teaching antique drawing at the Museum School and continued to do so for over thirty years, teaching courses in drawing, artistic anatomy, and art history at the Pennsylvania Academy of the Fine Arts and Boston University. Hale was also a critic and author, and his book Jan Vermeer of Delft (1913) sparked a revival in interest in the Dutch artist, who was particularly influential to Boston painters. Glitter is an excellent example of the Baroque influence on Hale and the Boston School, while Deianira, Wife of Heracles, Being Carried Off by the Centaur Nessus is reflective of Hale’s foray into Symbolism.